Spinning Begins at Anad Conservatory..! 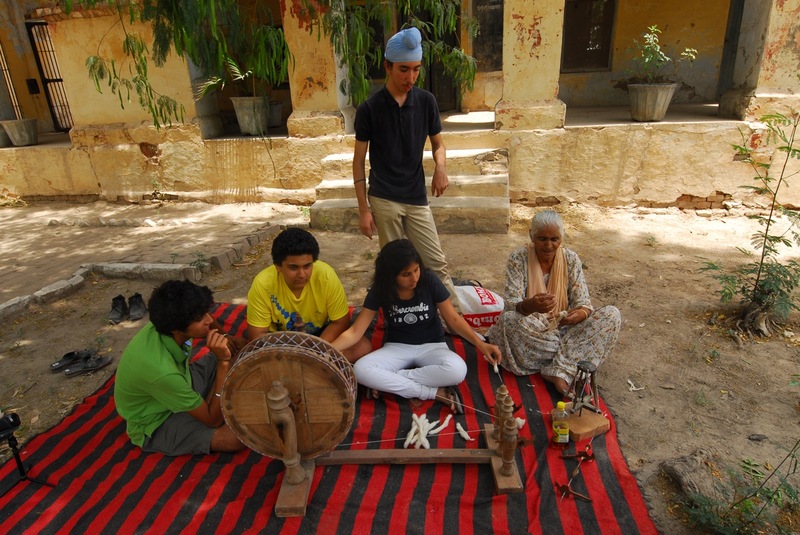 Folk artist (naïve or primitive artist), Bibi Surjit Kaur Bhamra visited the Qila, Sultanpur Lodhi in September last year with her brother, artist Avtarjit Dhanjal and his partner Danielle. 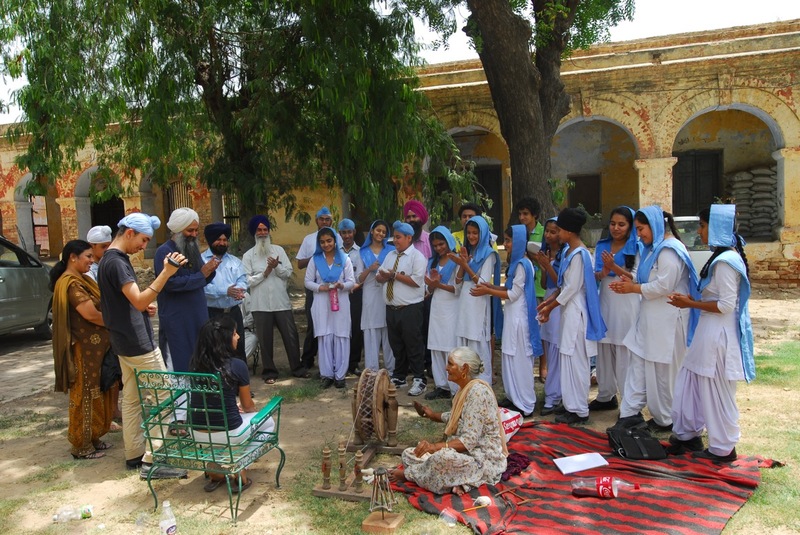 Avtarjit introduced her ability to do art with mud – making birds, animals on walls using specially prepared clay. 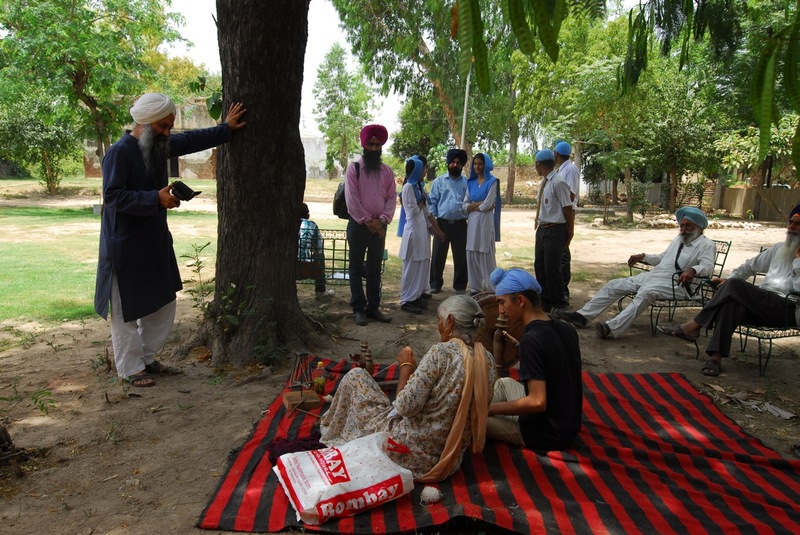 On February 7 this year, I visited her residence when Avtarjit was visiting her at her village, Chakkar, Tehsil Jagraon, District Ludhiana, Punjab. 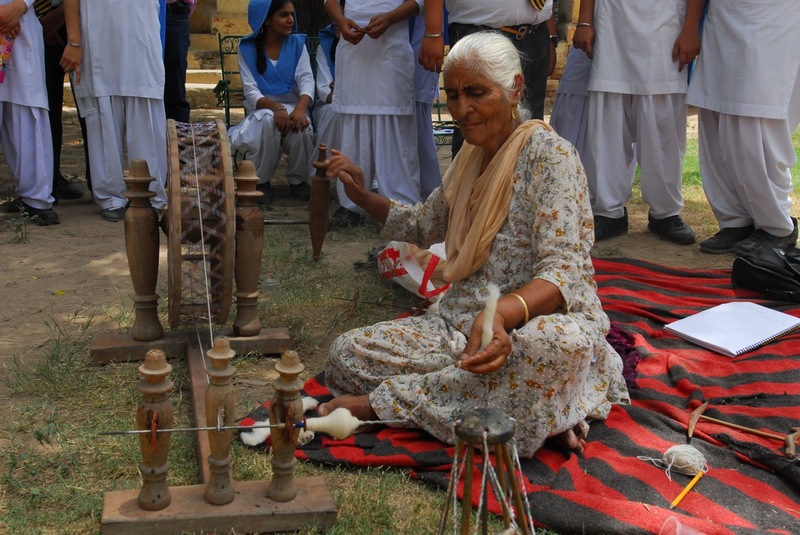 During my visit to her residence, I was introduced to two charkhe (spinning wheels), one each hand built by her father and father-in-law respectively. 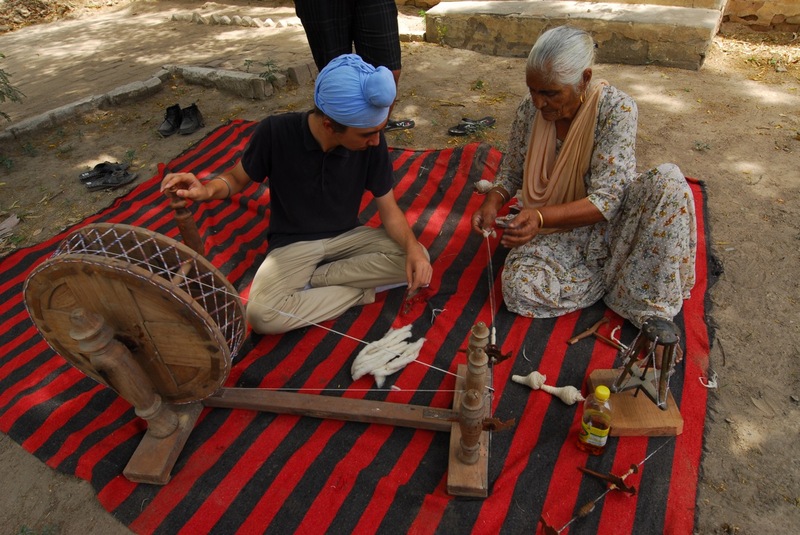 She had been introduced to my intent of starting spinning and weaving here at the Qila as part of the revival of the folk and cultural traditions of the Sultanpur Lodhi region. 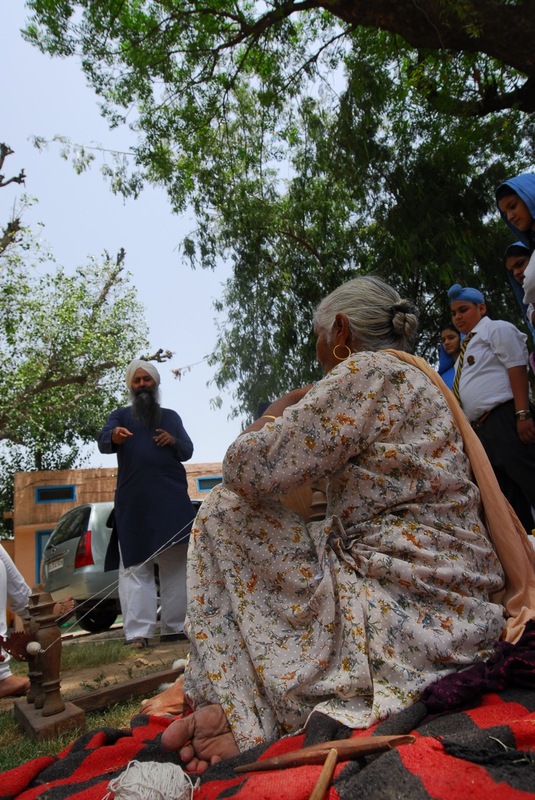 She was very kind in offering both the charkhe as donation to Anad. 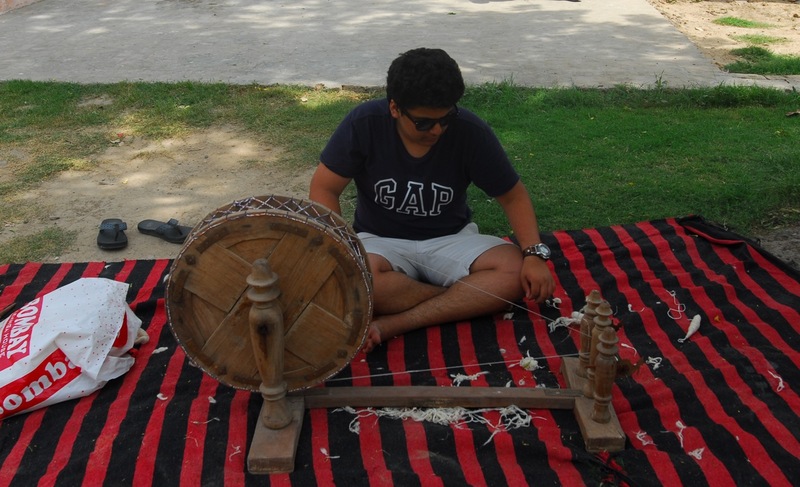 Her charkha was part of the dowry she brought from her parents household and the sandook, an old fashioned almirah came from her mother-in-laws’. 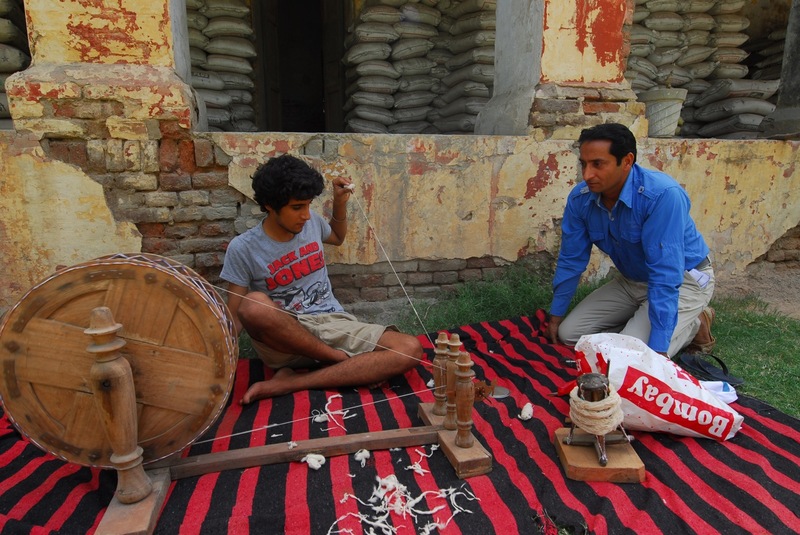 A week later one charkha and the sandook reached the Qila in a van. 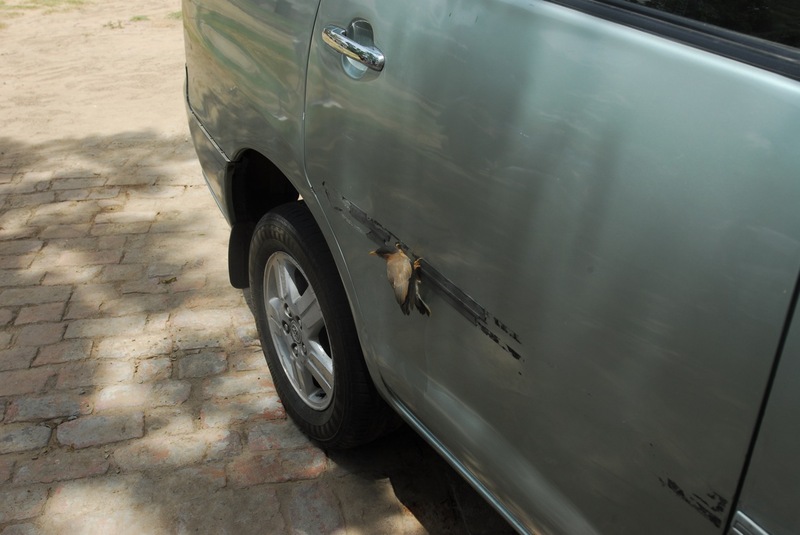 We planned that she visit Anad Conservatory site at the Qila at her earliest convenience. Today, she came. 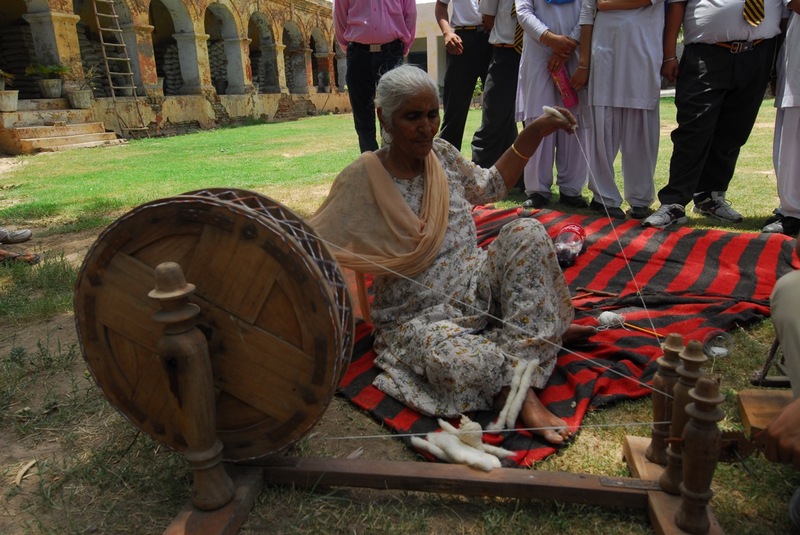 She brought cotton, some of the integral parts of the charkha and even specially prepared mud. 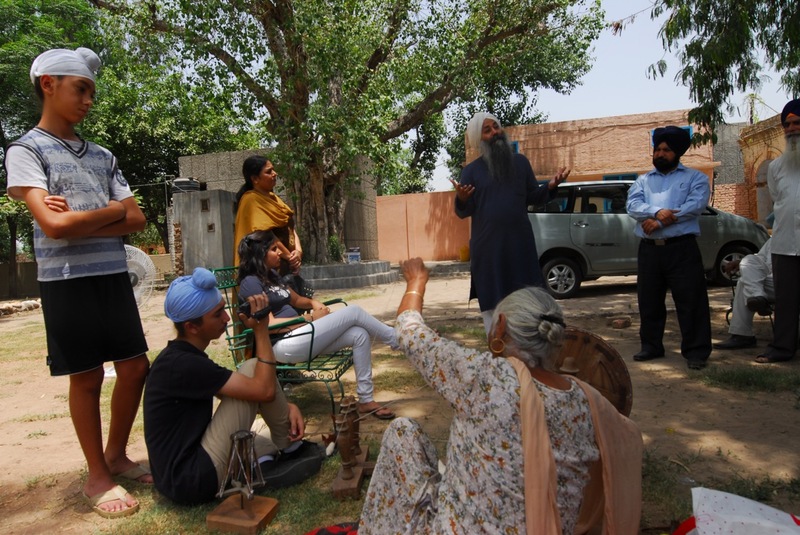 Her visit was planned to be a part of the 3-week summer internship programme by 6 students of Vasant Valley School – Kavya Rai, Wanhee Ji, Uday Talwar, Himmat Singh Guram, Anmol Handa and Luigi Hari Tehel Singh. 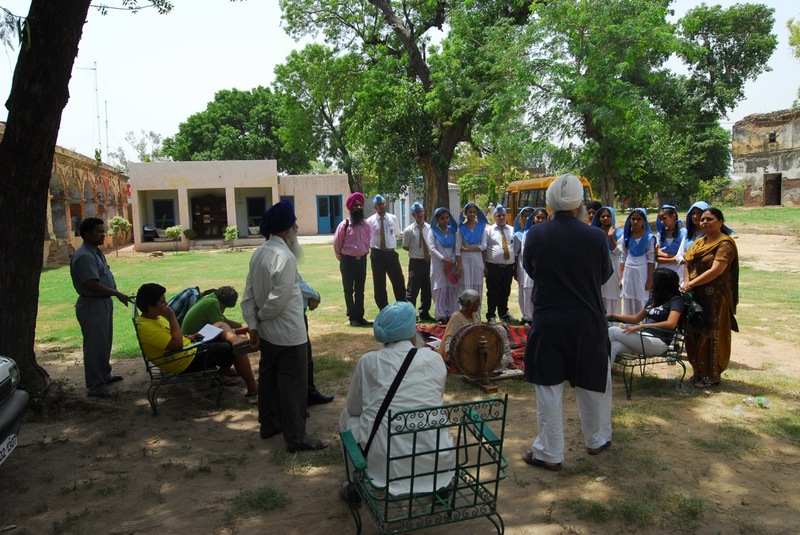 Fourteen students with interest in music and three teachers of Guru Amar Das Public School, Model Town, Jalandhar also came visiting as singing and spinning analogies went along together albeit in a newer age. 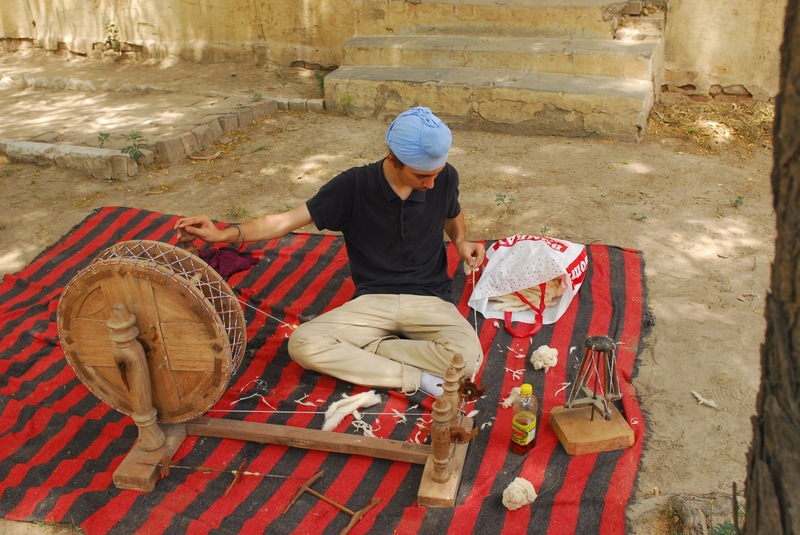 maa meri ne charkha ditta, vich jadaiyyaaN mekhaaN. 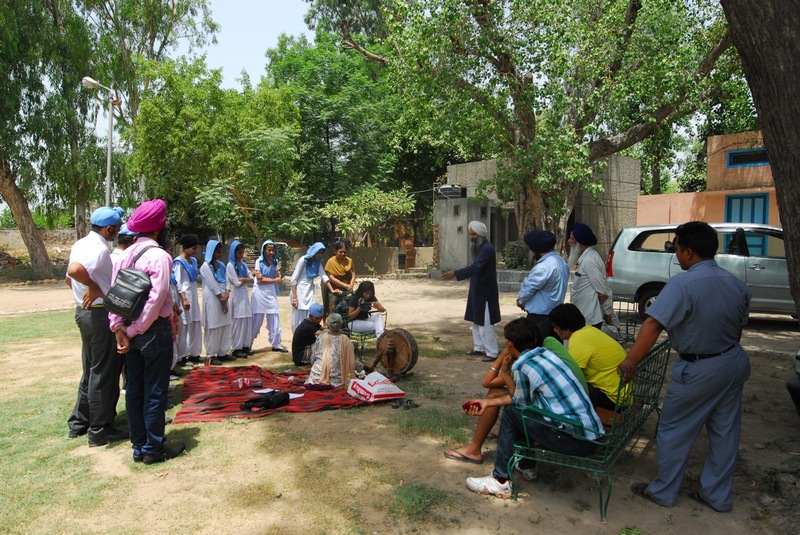 maa tainu yaad karaaN jadd charkhe wal vekhaaN. 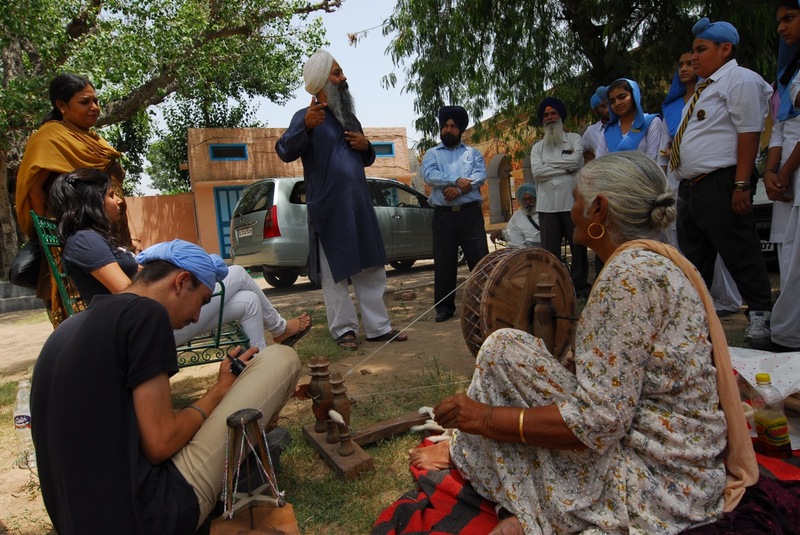 charkha chandan da maiN kattaaN preetaN naal. 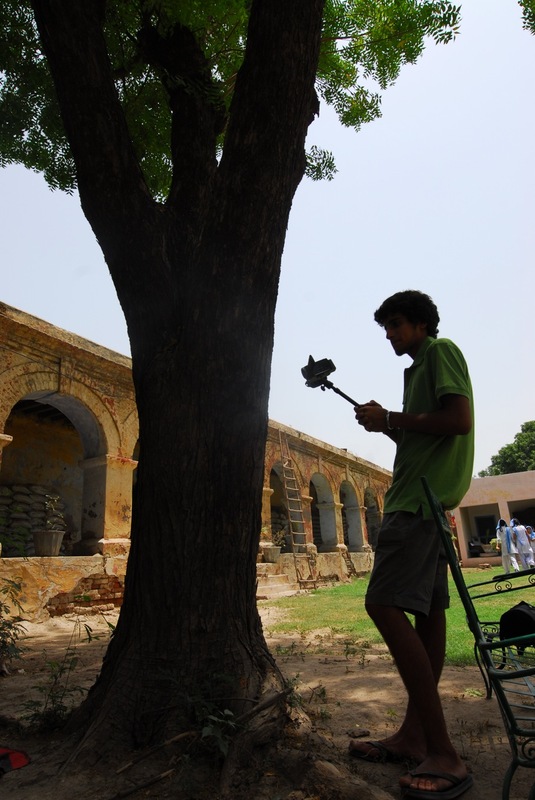 Himmat tries cinematography for a change. 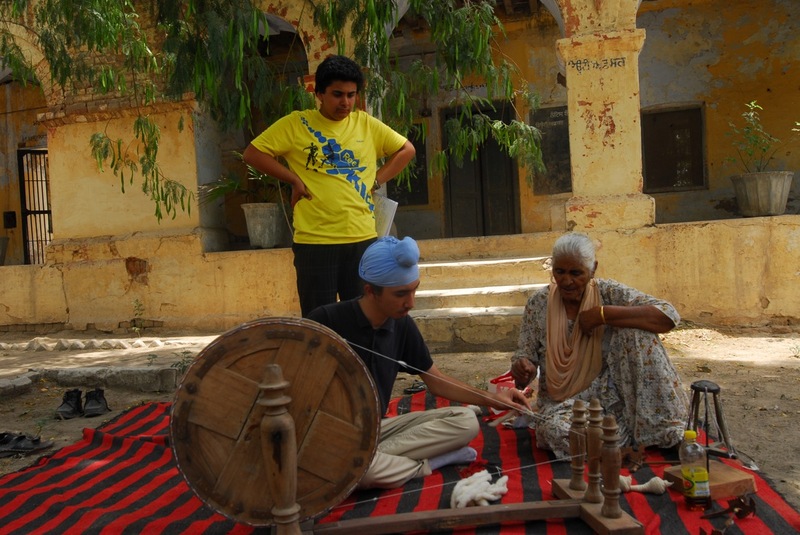 Luigi Hari Tehel Singh takes a lesson at the spinning wheel. Receiving applauds for her song. 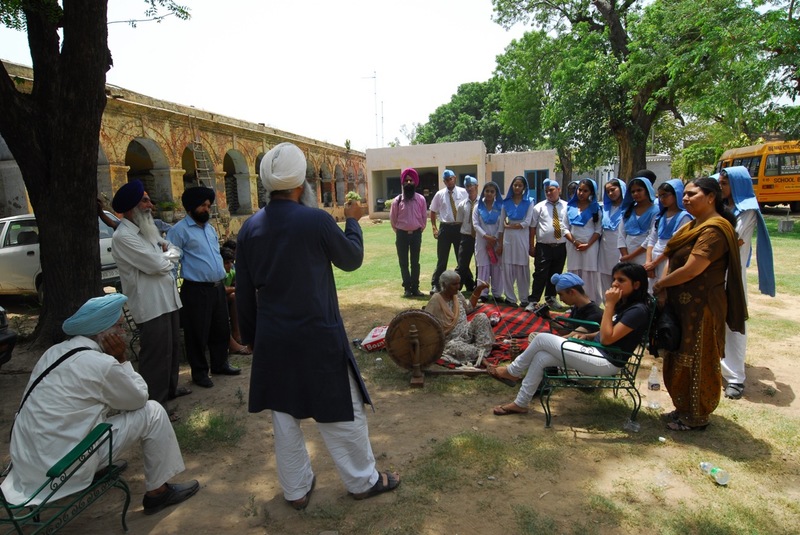 Surjit K Bhamra sang a song that traditionally went along spinning times. 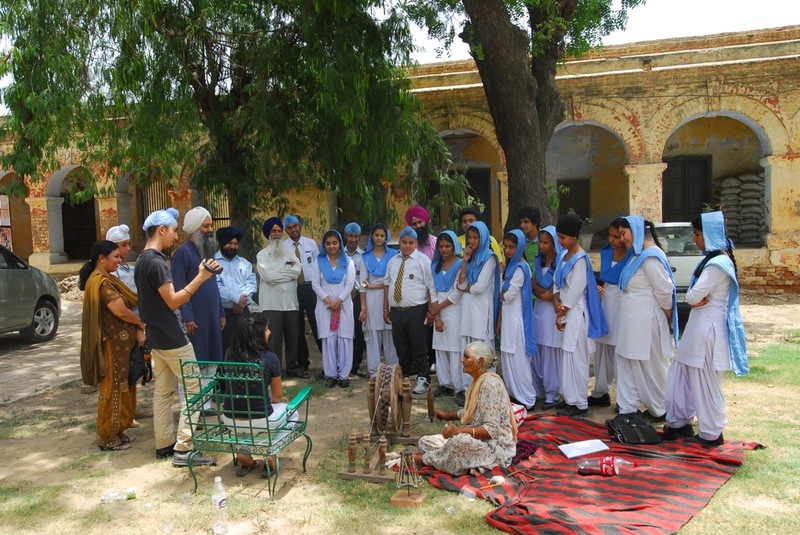 such a valuable education you are offering these students!